If you receive unemployment benefits, you must report the payments on your federal income tax return. Types of unemployment benefits include benefits paid by a state, disability payments from various government programs, and several others. Here are two tips from the IRS about unemployment benefits. You must include all unemployment compensation you received in your total income for the year (although it may not always be taxable). You should receive a Form 1099-G that will show the amount you were paid and the amount of any federal income taxes withheld from your payments. You can choose to have federal income tax withheld from your unemployment benefits. You make this choice using Form W-4V. If you complete the form and give it to the paying office, tax will be withheld at 10% of your payments (which may or may not be enough for your tax situation). 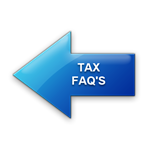 If you choose not to have tax withheld, you may have to make estimated tax payments throughout the year. The Good News: Unemployment benefits usually aren't taxable by your state. Don't get caught by surprise when your unemployment benefits result in a tax liability for you at the time your tax returns are prepared...contact us if you'd like assistance in planning for this. We're here to help! !